Northstar is a hope-filled church seeking to lead people to discover life's ultimate joy in a relationship with Jesus Christ and helping them to "be the church." Being a Christian is not just about "attending" church services. It's about living for Jesus Christ and growing in a love relationship with God through Him. Northstar wants to encourage and equip others to ENJOY their relationship with God through joyful, loving obedience to Him. Our worship is casual and contemporary. Sermons are biblically focused to help the curious find faith and the committed move from attendance to service. Our church has a dynamic mix of families and young adults. We have an incredible children’s ministry, staffed with folks whose priority is to help your child fall in love with Jesus Christ. Our youth ministry is extremely active and reaches out to students without church backgrounds effectively. We have a large ministry to college students and to grad students as well. You'll also find that internationals make Northstar their home. Visiting Northstar will put you at ease in the first five minutes. There are donuts and coffee for you the in lobby, and you'll be warmly welcomed, without being singled out. It's an incredibly safe and loving place for you to begin your spiritual journey at your own pace. 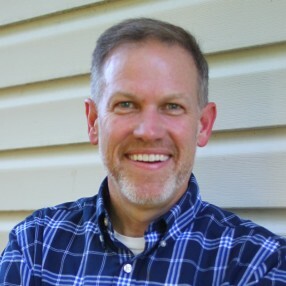 Jeff became Northstar’s second pastor in 2009 after the retirement of its founding pastor. He and his family are from the pine woods of southeast Arkansas where he served as a campus minister at the University of Arkansas at Monticello for 8 years before planting Journey Church and serving as its founding pastor for 6 years. "I love life – mainly because of my relationship with Jesus Christ. I’m ecstatic about the change He’s made in me, and I’ve pledged my life to help others discover the joy of following Him." Family-wise, Jeff’s wife Carolyn is a photographer and works at Blacksburg High School in the guidance office. Sam is 17 and into all things sports and outdoors. He is a student at BHS and actively involved in Young Life. Adelyn, 14, is at BHS and is their comedian/softball player/musician. Jeff and his family love life and are eager to help lead Northstar Church to become a people that encourage others and build spiritual leaders. Go here? Tell us why you love Northstar Church. Visited? Tell us what a newcomer can expect. Enter your email address to receive an informative welcome email from Northstar Church.